For the first time in Australia, through a partnership with Magic Light Pictures, The Gruffalo will come to life at National Trust Currumbin Wildlife Sanctuary (NTCWS) with a new augmented reality app experience and attraction – The Gruffalo Trail – launching just in time for the April school holidays. As Currumbin Wildlife Sanctuary’s PR agency, M10 conducted media outreach to launch the attraction and gain exposure for the client’s new interactive experience, which opens April 5, 2019. The much-loved classic picture book is extremely popular with kids of all ages, and as well as being on the Gold Coast to launch The Gruffalo Trail, The Gruffalo is also here celebrating the 20th anniversary of the book. 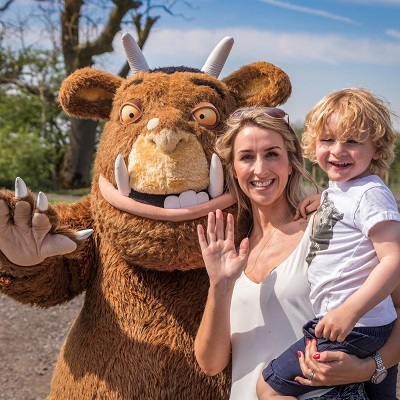 The Gruffalo Trail is free with entry and encourages kids to get outdoors, keep active and entertained while also promoting children’s literacy. Families can download the complimentary The Gruffalo Spotters AUS app and follow clues through an interactive trail where they will meet much-loved characters from their favourite book on their way to finding The Gruffalo. The app is simple to use and makes the characters come to life in brilliant 3D animation (augmented reality). It also allows you to take photos next to the characters, which are then automatically added to your gallery making it easy to share your favourite pictures via social media using the hashtag #GruffaloSpotter. For more information, visit www.currumbinsanctuary.com.au/The-Gruffalo-Trail.